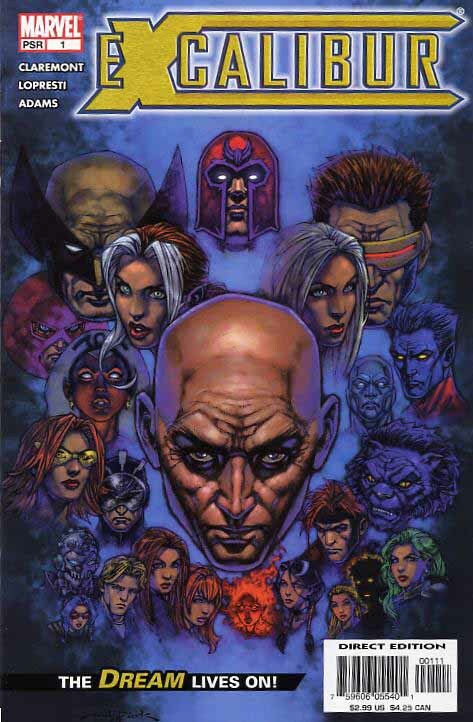 Titles include Amazing Spider-Man #507, Cable/Deadpool #3, Excalibur #1, New X-Men: Academy X #1, Captain America #26, Daredevil #60, Fantastic Four #513, Wolverine #15, Exiles #47 and X-Men #157. .
Smallville executive producer Al Gough told The Continuum that "Covenant," next Wednesday's third-season finale of Smallville, promises to rock the show as other season finales have. "I believe this finale really pays off the season in a great, fun and shocking way, and will propel us into an even better Season 4," Gough told The Continuum. Below are images from the trailer for "Covenant." Click on the thumbnails for larger images. 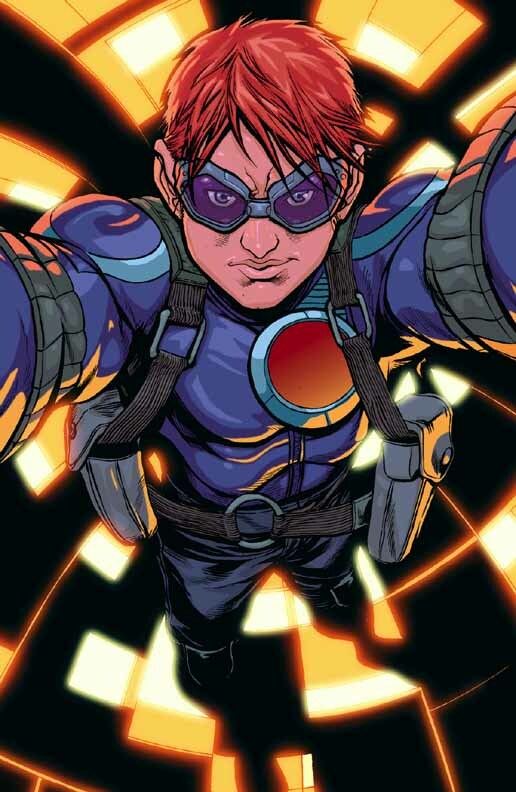 In other Smallville news, sources tell The Continuum it's very likely that Warner Bros. will stage another Smallville panel at Comic-Con International in San Diego this summer. Dark Horse Comics has released its solicitation information for August. For a complete rundown, with cover images, CLICK HERE. IDT Entertainment and Todd McFarlane Productions have announced a multi-faceted development, production and distribution agreement to produce animated programming and merchandise based on Spawn and other TMP original intellectual properties. 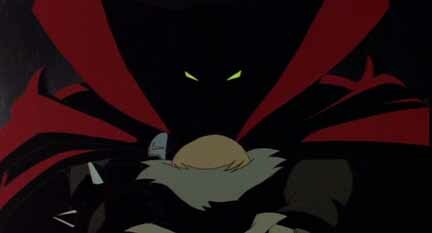 The initial project is the return of Todd McFarlane's Spawn: The Animated Series. IDT Entertainment is an entertainment/animation company that includes animation and film production through DPS/Film Roman, Mainframe Entertainment, and DKP Effects, and video distribution through Anchor Bay Entertainment. "This agreement is better than marvelous," said Jim Courter, IDT's CEO. "Worldwide, the demand for a new Spawn series continues to grow. The first series broke new creative ground for an animated series and was its generation's most popular comic franchise. With IDT Entertainment as the animation partner the new series will be even better." McFarlane will oversee all aspects of development and production, as executive producer. Terence Fitzgerald, senior vice president of creative development of Todd McFarlane Productions, will serve as co-executive producer, and Sidney Clifton, senior vice president and head of programming and development for DPS Film Roman, will lead the creative development team on the IDT Entertainment side. "Ever since the Spawn animated series left HBO in 1999, I have been asked -- almost daily -- when the show is going to return," McFarlane said Todd McFarlane. "I've been waiting for the right opportunity to not only bring the show back, but also do it with the intent of making it better creatively than its first incarnation. Teaming up with IDT Entertainment's DPS/Film Roman will allow us to take it to the next level of animation technology." In addition to Spawn, McFarlane swill create two additional animated properties. Activision is featuring two Marvel Comics-based video games, Spider-Man 2 and X-Men Legends, at the current 2004 Electronic Entertainment Expo, taking place at the Los Angeles Convention Center. Based upon the biggest movie event of the summer from Sony Pictures Entertainment's Columbia Pictures and Marvel Studios, and including other world famous Marvel comic book characters, players experience what it's like to be the world's most celebrated super-hero, Spider-Man. Players can swing, sling, dive, jump and scale the heights of Manhattan to protect the innocent, in a living city with Super Villains, common criminals, vehicles, trains and helicopters. 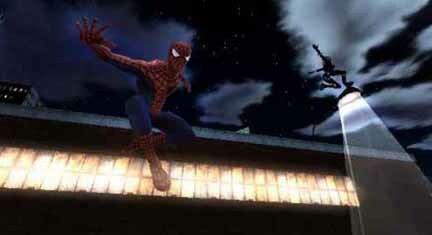 Players re-capture the movie experience by following the main storyline or choosing to embark on missions that challenge them to perform good deeds, deter random crimes, and face classic Marvel comic book villains such as Mysterio, using innovative new combat moves in locations from the film and environments exclusive to the game. Spider-Man 2 is being developed by Treyarch and has been rated T for Teen by the ESRB. (Currently being developed for the PlayStation 2, Xbox, GameCube, Game Boy Advance and PC). The two Activision titles are among a large slate of Marvel games that includes The Punisher from THQ, Fantastic Four frm Activision, Iron Man from Activision, The Hulk 2 from Vivendi-Universal, Marvel and EA Super Heroes from EA and Marvel Universe MMP from Vivendi-Universal. Oni Press has announced an August release for the sixth trade paperback in Greg Rucka's ongoing espionage series Queen & Country. "Featuring artwork by Mike Hawthorne, Operation Dandelion sees the Special Section threatened by the most dangerous and vigilant of enemies: bureaucracy and politics. And the challenges are coming from all sides: a new head of S.I.S. who wants to dissolve the Minders; a shadowy high-level government official who wants to use the Special Section for his own personal agenda; and MI5 worried about a jurisdictional turf war. "Things are always most dangerous during times of transition, and this time has Crocker walking a tightrope between what he knows is right and what he must do to save not only his job, but the entire Special Section. It is also a time of transition for Tara and Wallace as they deal with their profession and the loss of their friends and co-workers." "Queen & Country often focuses on Her Majesty's Government's foreign enemies," said Oni Press managing editor Randal Jarrell. "I think this arc is one of the most exciting because it shows how the Special Section's most dangerous foes aren�t necessarily terrorists or foreign armies, but are actually within their own government." "Dandelion is a good name for this story," Rucka said. "The word comes from the Old French phrase dent-di-lion, meaning 'lion's tooth." In many ways, the Special Section is the S.I.S. 's lion's tooth. Another cool element to the word is the fact that dandelion seeds are carried away by the wind and travel like tiny parachutes. A strong wind can carry the parachutes miles away from the parent plant. It makes a nice metaphor for the dangerous and disconnected life as a Minder." 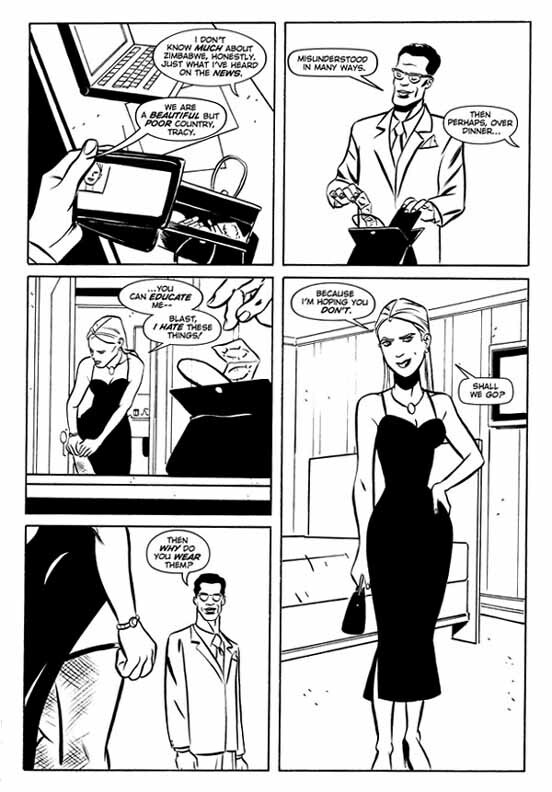 Queen & Country, Volume 6: Operation: Dandelion will be 128 black-and-white pages, arriving in stores on Aug. 11 and costing $11.95. Here's a look at the Wolverine mini-bust from Dynamic Forces. It is designed by Alex Ross, sculpted and painted by Mike Hill and stands close to 18 inches. Click on the thumbnail for a larger look. The Constantine movie will be featured on Access Hollywood on Thursday. Coming Friday: Image news, movie news -- and much more!!! 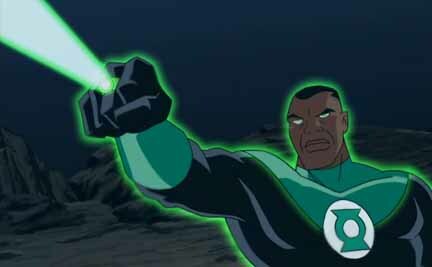 * For Friday, May 7, including Justice League animated news, CLICK HERE. * For Thursday, May 6, including Marvel news, CLICK HERE. * For Wednesday, May 5, including Hugh Jackman talking about a third X-Men movie, CLICK HERE. * For Tuesday, May 4, including Marvel movie news and more from WonderCon, CLICK HERE. * For Monday, May 3, including Justice League news and more from WonderCon, CLICK HERE. * For Sunday, May 2, including Spider-Man 2 news from WonderCon, CLICK HERE.